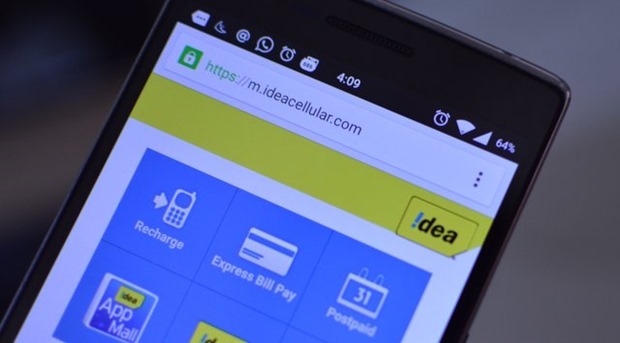 Idea Cellular users in Delhi and NCR will now have to pay 18% more on 3G data packs and 11% on 2G data packs. The new data plans for Delhi and NCR are already out in the market. It was made effective from 3rd June. Most of the data packs’ prices were increased a couple of days before. According to resources, five or six circles in India will get a hike in Idea pre-paid data tariff in the coming days. Anyway, the company officials didn’t speak anything about the same. Last month we saw that a total of 9.31 million new mobile subscribers were added and the ones using the Idea will have to pay more to use the internet in Delhi. 1GB 3G pack with a validity of 28 days will cost Rs 295 which was Rs 249 earlier (and had 30 day validity). And 1GB 2G pack with a validity of 28 days will cost Rs 195 which was Rs 175 earlier (30 Day validity). There are many data packs in which either the price has been increased or the validity of the pack has been decreased. So overall, Idea has increased the prices for all data packs in Delhi and NCR. Here are new rates. Why Idea Data Tariffs Have Increased? A couple of months back government had earned Rs 1,09,874 crore in the auction of spectrum licenses and telecom operators had to pay their first tranche last month. Obviously, Idea Cellular has decided to recover some of that cost by passing it on to the customers. Idea MD & CEO Himanshu Kapania had earlier said that there would be pressure on data prices, and tariff hike across circles may be necessary. Telecom experts already predicted that there would be 10%-15% hike in the mobile tariff plans. However, it was not clear whether it would be hiked in calling rates or data plans. Who Might Be Next To Increase Tariffs? After the March spectrum, Idea is the first telecom operator to increase the prices in internet packs of both 3G and 2G. The other telecom operators are also expected to increase the data tariffs in coming months. As Idea and Airtel both have paid Rs 30,000+ crore for the spectrum, Airtel is next in the line. Even, Vodafone users might get a hike in calling rates and data packs very soon. The 3G packs are already turning out to be costly for the Idea users after this hike and in the coming days when 4G packs will be available, we can expect the costs to be increased by 30 – 40% for 4G. As such, there is no word on 4G prices, this is just an assumption.